Not only are we counting down the days to Christmas around here, but we are also counting down the days to when our front exterior makeover is done! 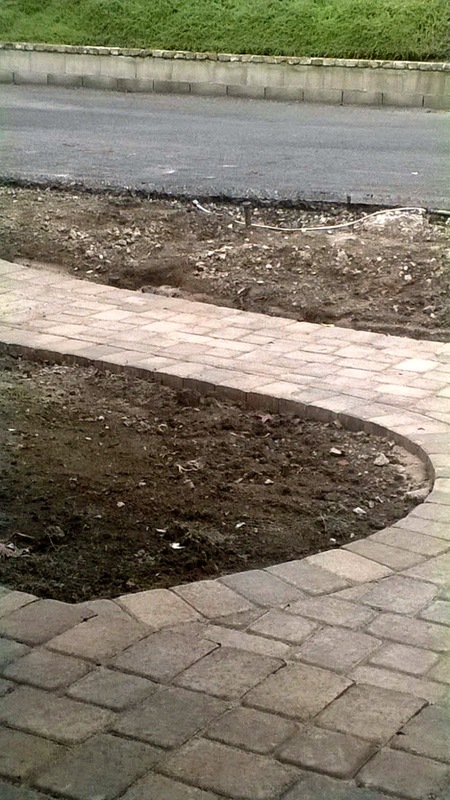 The hardscaping was the first phase of the makeover. 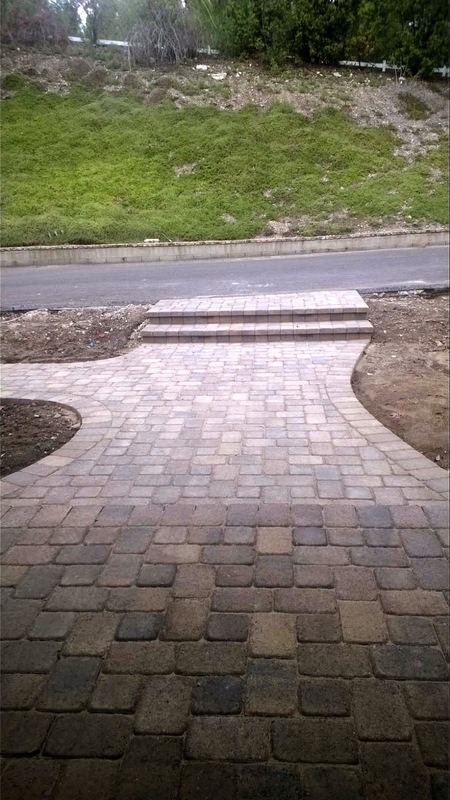 The landscaping will go in next. This photo angle is from our front door looking out towards the street. 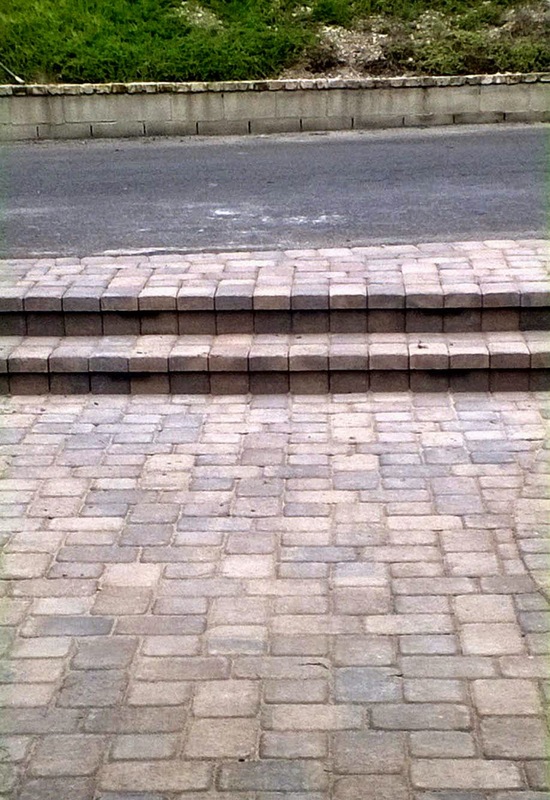 The crumbling brick is all gone, and pavers went in its place. 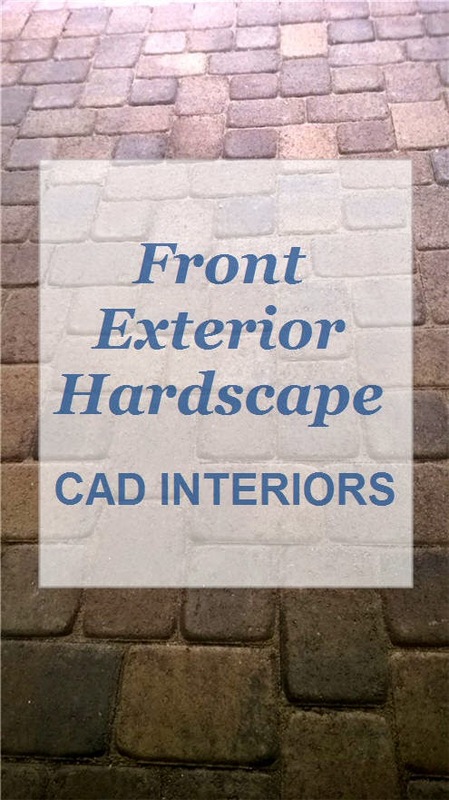 I'll give you more details on the pavers we chose, the design layout, etc. in a future post. 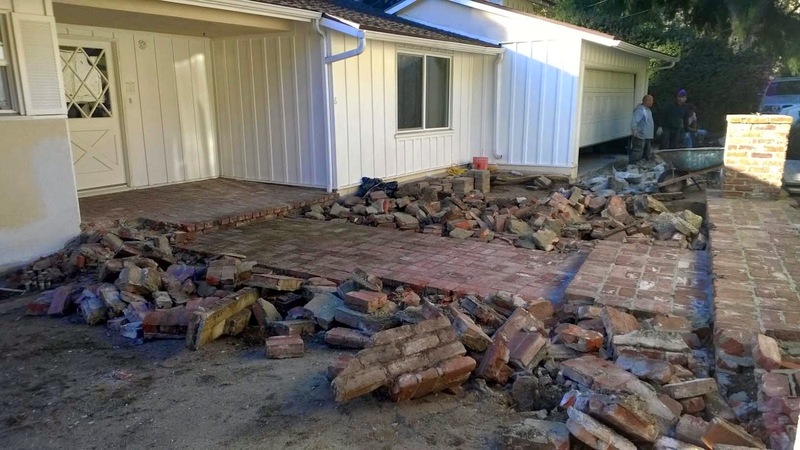 Just as the crew was wrapping up demolition and installation of the new pavers, we got rain in drought-plagued Southern California! It is just our luck that we finally get much-needed rain as we're working on an outdoor project. Pathway that leads from the front porch towards the garage. 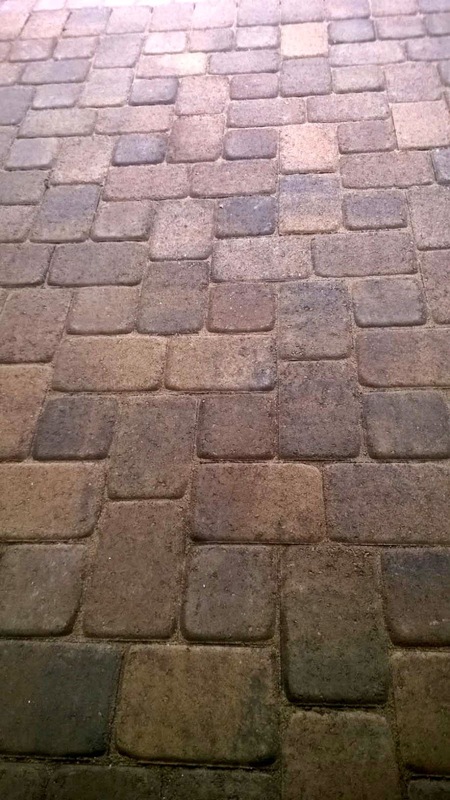 A second round of rain hit California last week, but fortunately, the crew installed the step lights and sealed the pavers just in time. It's hard to see in the photo above, but there are four LED lights installed where the steps "hang". We opted to install LED lights since it has a longer life span and it is more utility efficient. We figured that the "heftier" initial investment would pay off over time.